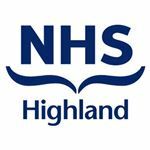 An opportunity has arisen to join our small Administration Team at Belford Hospital, Fort William. You should have excellent communication and personal skills and have previous experience working in Administration. Previous experience with NHS would be an advantage but is not essential. Application Form and Job Description can be downloaded via our website www.jobs.scot.nhs.uk or available from, and to be returned to the Employment Services Section, Assynt House, Beechwood Business Park, Inverness, IV2 3BW or by emailing your name and address to nhshighland.recruitment@nhs.net.